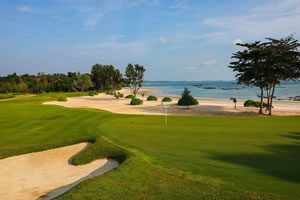 Boasting over 250 golf courses, the Kingdom of Thailand is hands down a primetime destination for golf enthusiasts looking to spend a nice vacation in South-East Asia. The Tourism Authority of Thailand hosted the Thailand Golf Travel Mart in 2017 at Khao Yai National Park which marked its importance as a top destination. Khao Yai is situated hardly two hours north of Bangkok in the Nakhon Ratchasima Province. Tour operators such as Golfasian that specialize in fully organized golfing holiday packages met with international buyers and suppliers from key markets. There were over 150 buyers representing 32 countries. Of those, 48 were from the ASEAN region out of an overall 65 which constituted the complete Asian market. Although Asian buyers made up the majority at the event, there were also 31 from Europe and 3 from the United States. A highly successful media briefing was used by TGTM 2017 to give a current analysis of Thailand’s golf courses, facilities, and golf-related services while also highlighting additional tourist attractions that visitors can enjoy outside of the golf course. TGTM 2017 looks to promote the country as a top golfing destination which is justified by the merit of its top-flight facilities. The Sports Authority of Thailand (SAT) and TAT organized a seminar on July 25th titled The Thailand Golf Paradise. TAT and SAT were joined by both Thai and foreign experts who shared their important experiences relating to the golf industry. Some of the talks included were ‘Wake Up Call for the Golf Industry’ by Golfasian’s own Mark Siegel, ‘Understand Your Course’ by Dr. Micah Woods, ‘Sustainable Golf in Thailand’ by Pirapon Namart, and ‘Best Practice: Olympic 2016’ by Neil Clevery. “This event was very useful as I was able to highlight to the whole Thai golf industry best practices from Thailand’s championship courses such Siam Country Club, Banyan Golf Club, and Chiang Mai Highlands,” said Mark Siegel. “The widespread feedback has already shown dramatic signs for the betterment of Thailand’s golf industry,” Siegel went on to say. Another unique concept that was brought forth at the event was “Golf and Gourmet”. Golf and Gourmet focused on discussing the relationship that Thailand’s proud gastronomic reputation has with the country’s golf courses. 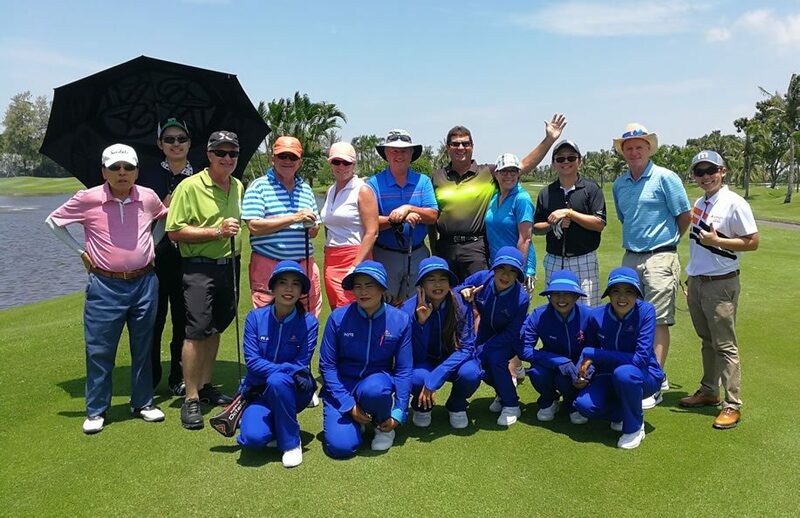 During the TGTM event, Golfasian hosted a Famtrip for ten people from North America that was funded by TAT LA. The Golfasian hosted group had three golf tour operators from both the east and west coast, and five media members from the U.S. and Canada. Two TAT officers, Director Kittipong Prapattong and Lert Narongchaisakul also joined. As most of the group were having their first “Asian” experience in Thailand, they were able to particularly enjoy the cultural experiences as much as their golf. The Famtrip program included activities such as golf, sightseeing, and gastronomic exploration in the Khao Yai and Bangkok regions. All noted that they would love to return bringing additional clients and friends. As golf continues to provide a major source of revenue within the tourism sector of Thailand in the coming years, it was an honor to see Chiang Mai voted as the top destination for golf within the Asia and Australasia region for 2017 on top of awards previously received by seaside resort towns like Pattaya and Hua Hin. This very important award was voted on by 220 international tour companies. 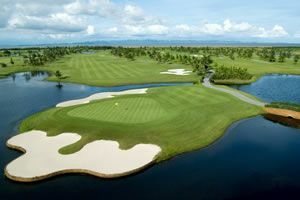 The future of golf tourism in Thailand looks promising as courses, facilities, and Thailand’s unique and welcoming culture continue to provide a top-class experience.